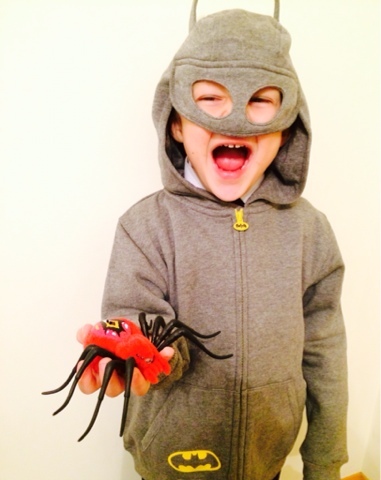 My little boy loves spiders - when Blake was 4, there was a mini beast workshop at school and Blake touched a tarantulas bottom! Since then he has asked a few times if he can have a pet tarantula! 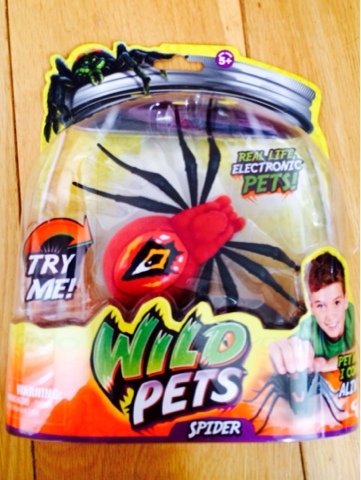 I was really pleased to receive a Wild Pets Spider from Character Online to review - an electronic pet spider is a brilliant idea because I'm not keen on having a real life tarantula roaming around my house for some reason! Perfect for Halloween season! 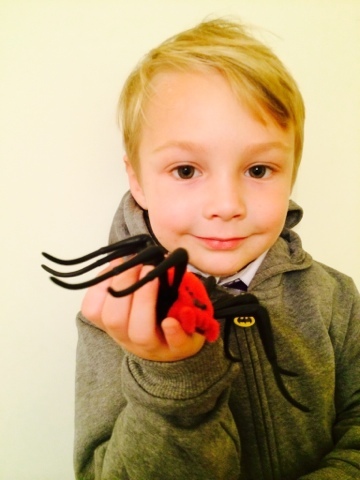 Blake (age 6) loves his Wild Pets Spider - it's soo creepy! It took Maegan (age 4) about 20 mins to stop being scared! The Wild Pet Spider from Character-Online has a flocked body so he has that fur/hairy feel to him. 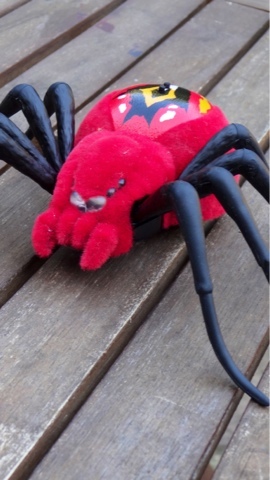 Terrifying realistic colours and markings - we have the red back one but there's four colours to collect! 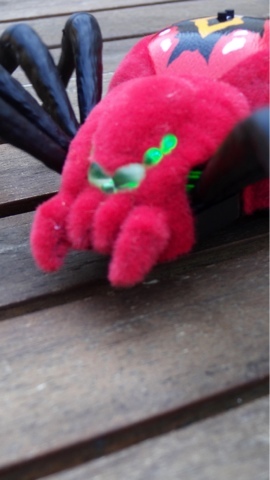 Touch sensor on the spiders back let you choose between creep mode (blue eyes) where he will creep in a circular motion, explore (green eyes) where the spider will randomly crawl around the environment and attack mode - complete with red eyes and fast forward running! Will make you jump! The rubbery legs jiggle about adding to the fun! 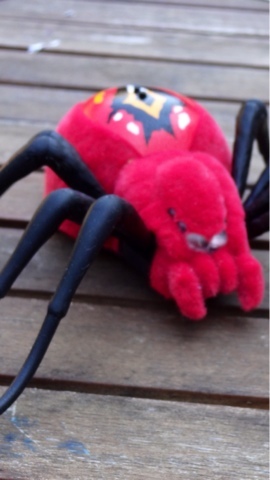 (For the sake of all arachnophobes!) Luckily there's an on/off switch! Spider comes with batteries already fitted so he's ready to play straight from the backaging. "Are you game to tame a Wild Pet? 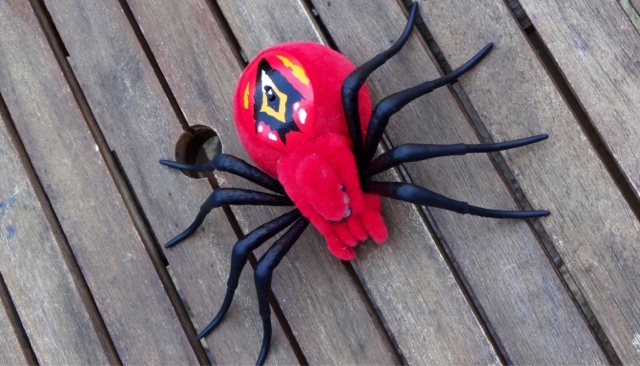 Pick up your pet spider and pet him - your touch controls his behaviour - but beware, he feels and moves just like a real spider! So prepare to scare and freak out your friends - its totally wild! Leave your spider alone and he will creep around in a small area. One touch will put the Spider in explore mode but if you press and hold the sensor look out as your spider will be in Attack Mode and will chase down any target! 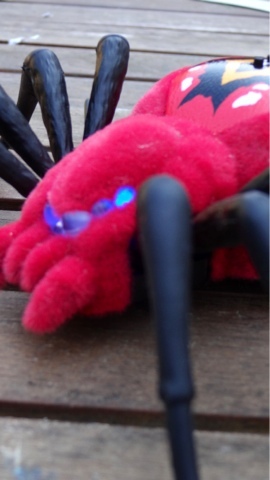 With LED colour changing light up eyes to indicate what mode your spider is in. This is the creepiest, wildest pet that only you can tame! Four different characters to collect - Creepster, Eyegore, Chiller and Wolfgang each with their own distinctive colour. Collect them all!" Disclaimer - we received a spider for the point of this review - all photos, thoughts and link choices are my own.